I would like to note a few points here: -The word count is less than 300 words, but I personally feel that the matter is too less to elaborate in so many words. There would be too much load while reading something that big but with little actual matter. So I have taken the liberty of writing a shorter piece. Please tell me if you are okay with this or if 300 words is a strict requirement, in the case of which I will make changes. However I strongly advise against this. -I have also taken the liberty of addressing the website as Dasksell instead of all caps,'DASKSELL", as I feel that this is more professional and aesthetically pleasing. It could also be Dasksell.com, this is upto your opinion. -I also suggest adding minor details regarding the company, such as when it was founded or why it was founded, since this will go on the 'About Us' page. 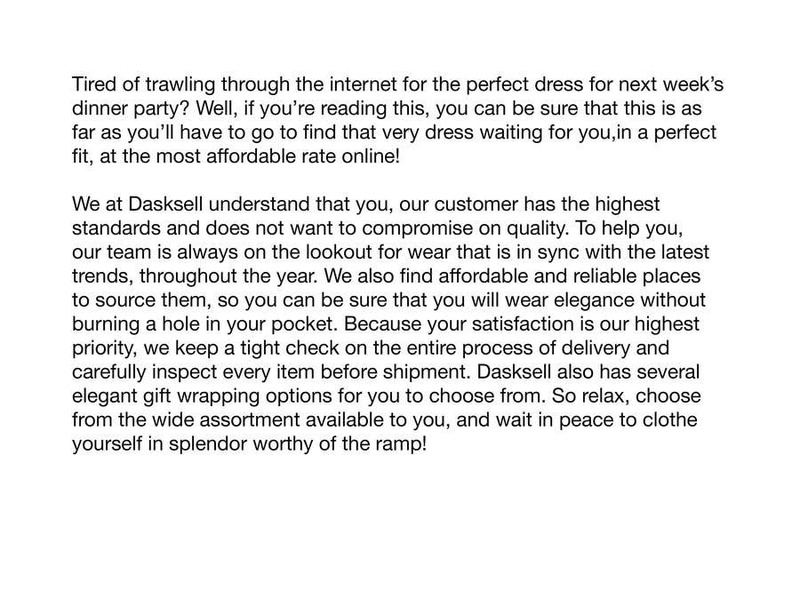 Maybe something that differentiates Dasksell from its competitors. I will be very happy to make any further modifications if you wish so.